Soils offer a major share of the world’s actual and potential carbon storage. Globally, the top 30 cm of soil hold about double the carbon in the atmosphere, and more than that in all the forests and sunlit ocean layer combined. Increasing carbon in soils is potentially an effective means of reducing levels of carbon dioxide in the atmosphere and in oceans, while providing positive co-benefits, particularly for food security. The top 30cm of soil holds double the carbon held in the atmosphere. Globally soils have the potential to store 6 billion tonnes of CO2 per year. Management practices that increase soil organic carbon are largely very low in cost compared to alternative greenhouse-gas abatement options. 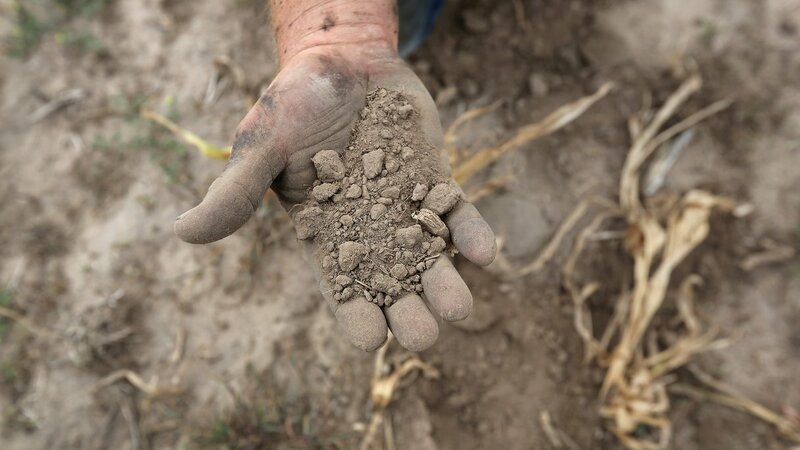 Scientists and policymakers broadly agree that soil organic carbon can deliver climate-change abatement while helping meet various goals in food security, sustainable development, economic growth and equity. Soils have a carbon-sequestration potential as high as six billion tonnes a year globally, though a more conservative estimate is in the order of a billion tonnes a year, which is about a tenth of total annual emissions of greenhouse gases from all sources. On the back of optimism about them, there is growing visibility for soil organic carbon solutions. Momentum for action is gathering in political, financial and technical circles. Political headway at the global level is growing through avenues such as the 4 per 1000 Initiative, the 2017 agreement on agriculture under the United Nations Framework Convention on Climate Change (UNFCCC) that explicitly refers to soils, and the central role of soils in the UN Sustainable Development Goals target on land degradation neutrality that is linked to the United Nations Convention to Combat Desertification (UNCCD). Financial support is following this political momentum, with new funds such as the Land Degradation Neutrality Fund and the Kickstart Food Fund launched in 2017. Technical momentum includes substantial work on mapping soil organic carbon, sharing soil information and developing cost-effective measurement systems. Pioneering initiatives around the world provide evidence of economic viability and rapid results (see carousel). A mix of regulatory and voluntary initiatives at national and sub-national levels provide timely lessons for global upscaling of action on soil organic carbon. Early adopters of market-based approaches to increasing soil organic carbon include Australia and California. While only eight UNFCCC Nationally Determined Contributions (NDCs) present targets for soil organic carbon within their intended mitigation options (Armenia, Burkina Faso, China, Japan, Malawi, Namibia, Uruguay and Zambia), many countries have policies that support stronger action. They range from Canada, which recognizes the potential of soil organic carbon under conserved forests and wetlands, to Bhutan with its sustainable soil policy, and France, which has soil health through agro-ecological principles at the heart of its 2014 Law on the Future of Agriculture, Food and Forestry. A mix of regulatory and voluntary initiatives at national and sub-national levels provide timely lessons for global upscaling of action on soil organic carbon. The 4 per 1000: Soils for Food Security and Climate initiative was launched at COP21 in Paris, with nearly 150 signatories. 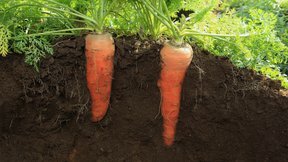 Inspired by the argument that an annual increase of 0.4 per cent in global stocks of soil organic carbon could offset the net flux of carbon dioxide released into the atmosphere every year by human activities, this initiative aspires to increase global stocks of soil organic carbon through voluntary actions and to conserve high-carbon soils. Articulated in two parts (sciences and projects), the initiative has 281 partners, of which 150 are members. Australia offers lessons with its Carbon Farming Initiative (CFI), a voluntary offsets scheme implemented by the Emission Reduction Fund that has brought AUD 2.4 billion into the market. The initiative allows farmers to earn carbon credits for new abatement on their land. About ten per cent of CFI investments are in soil organic carbon projects, supporting a wide range of activities from rotational grazing to regenerative practices. Farmers’ returns from productivity increases are on average four times the value of the credits. Corporate Carbon, which supports CFI projects, plans to scale up from 30 to 300 projects within 12 months. Uruguay has strong ambitions for soil organic carbon storage in its Nationally Determined Contribution (NDC) to the UNFCCC under the Paris Agreement. The country has decades of positive experience in policies that have enabled net forest growth and substantial carbon sequestration in forests. More recently, it has implemented legislation to reduce erosion and secure carbon stocks in agricultural soils. No-till agriculture is practised widely. 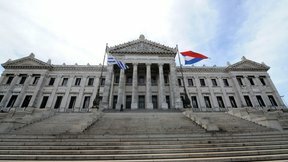 Uruguay’s NDC proposes to sequester over 900,000 tonnes of soil organic carbon by 2030 with international financial support. 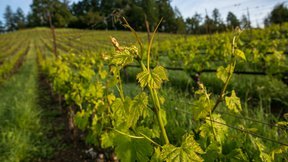 California’s Healthy Soils Initiative, launched in 2015 and paid for by the state’s cap-and-trade scheme, seeks to protect and restore soil organic matter in its soils. The centrepiece of the initiative consists of incentives to farmers to adopt new soil-management approaches, such as composting and hedgerows, and to deliver verifiable gains in soil organic carbon beyond historic losses. The initiative also works to align state-level policies and remove perverse incentives that encourage poor soil-management practices. Farmers are particularly attracted to the initiative as a way of solving water and plant-health problems. Yet investment and action to conserve and increase soil organic carbon are not accelerating as fast as might be hoped. For example, only a handful of projects that address soil organic carbon in croplands, pasture, peatlands, wetlands or forests are currently registered under compliance or voluntary carbon markets, providing only small potential impacts on mitigation – globally, less than 20,000 tonnes or so of carbon per year (see forthcoming Silvestrum study). Efforts to scale up investment, action and results on soil organic carbon must tackle several constraints and pick up on missed opportunities. Participants in the dialogue identified and ranked priorities for breaking through current barriers to reach the scale needed for meaningful impacts on the global carbon balance. Three top-ranked needs, each aligned with a group of stakeholders: a more compelling value proposition for farmers and land managers, a stronger business case and track-record of success for public and private investors, and an overarching roadmap for action led by political champions. A fourth need – progress on protocols and measurement of soil organic carbon – was ranked equally highly, but was also acknowledged as an area where technical experts should take the lead on assessing and responding to needs. Looking ahead, better practices could be rewarded by better competitiveness; for example, through higher land values or through lower interest rates on loans and lower insurance premiums. A more compelling value proposition for farmers and land managers would provide the incentives to incorporate building soil organic carbon within their day-to-day management activities. 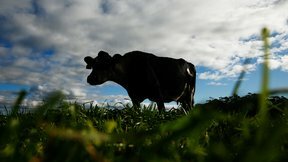 An attractive business case would not need to deliver near-term cash necessarily, but would have to be profitable within a farm’s planning horizon. Farmers speak the language of sustained and stable returns, valuing on-farm resilience and productivity over any duty to provide public goods such as climate-change mitigation. Thus they are likely to be more interested in soil health than soil organic carbon per se. A strong value proposition would be likely to include elements of enhanced productivity, risk management and market access alongside any financial returns to carbon assets. Important topics for policy attention to support farmers’ management of soil organic carbon include: secure carbon tenure that allows farmers and investors to protect their carbon assets from counter-claims (including by the state); improving equitable access to market-based carbon schemes, particularly among small-scale farmers in developing countries; and consistency in supply-chain contracts and in public policy to enable the long-term management changes expected of farmers. Looking ahead, better practices could be rewarded by better competitiveness; for example, through higher land values or through lower interest rates on loans and lower insurance premiums. Incentives for connectivity and collective action among neighbouring, or like-minded, farmers are also likely to accelerate scaling up of action on soil organic carbon. A stronger business case for public and private investors is needed to generate the level of finance that would bring improved soil management to scale globally. Immediate priorities are to build knowledge on soil organic carbon among potential investors and to create a funding solution to enable commercial demonstrations of soil organic carbon in action that can then be ready for widespread proliferation. Seed funding of these commercial demonstrations would build a record of success, which in turn could drive transitional funding of early-stage commercialization required to go to scale. Blended sources of finance are critical. In general, soil organic carbon value is best understood not as an independent asset, but rather as a keystone within a wider agenda of building environmental health, productivity, land-asset value and natural capital across landscapes. An overarching roadmap for action, led by political champions, would give greater shape and purpose to the growing political momentum in support of soil organic carbon. Components of the roadmap would include the ‘why’ (narratives that justify action), the ‘who’ (critical partners and international processes) and the ‘how’ (institutional and financial mechanisms). Persuasive narratives and campaigns would link soil health and carbon storage to outcomes such as double-digit increases in yield potential (particularly on degraded lands), higher household and national food security, reduced risks from disasters, and lower rates of displacement and migration. Some countries would be more interested in the role of soil organic carbon in climate-change adaptation, while others would be motivated by the untapped potential for meeting national mitigation targets. At a global level, environmental tipping points will become a greater impetus for action. One example is the discovery of mercury in frozen tundra soils that would be released by Arctic warming. Countries that seek climate action across all sectors are likely future leaders on soil organic carbon. From these countries, champions and ambassadors for soil organic carbon across civil society, business and politics could spread learning and provide impetus for wider global change. Rather than building new international processes, it makes more sense to build soil organic carbon into existing frameworks, such as UNCCD, UNFCCC and The Ramsar Convention, as well as private-sector processes such as the Global Reporting Initiative and the Consumer Goods Forum. The Global Soil Partnership and the Intergovernmental Technical Panel on Soils could broaden their remits beyond soil’s agricultural functions. Costa Rica has diverted 3.5% of it's gasoline tax since 1998 into payments for land-based environmental services. Some knowledge gaps hold back action at the political level. One is the perception that the soil organic carbon sink is much less permanent than other solutions such as carbon capture and storage. The potential for double-counting and double-selling of carbon is also a concern, drawing attention again to the need for more secure and transparent rules for carbon tenure. Financial mechanisms also deserve more regard in policy and research circles. Public policies to repurpose subsidies and taxes are working in several countries. For example, since 1998 Costa Rica has diverted a 3.5 per cent gasoline tax into payments for land-based environmental services, and Colombia introduced a similar tax in 2016. Green bonds in the form of ‘soil bonds’ for land restoration also hold promise as a financial mechanism. Rewarding performance on a farm-by-farm basis is expensive and inefficient, perhaps workable for pilots but not enough to reach scale; however, effective incentives above the farm level are not yet well developed. More generally, soils remain mysterious and dirty to most people. Public awareness and engagement are paramount, but they are tough when neither the carbon nor the healthy soil is easy to see. In the words of John Naisbitt, our collective perspective on soils is ‘drowning in information but starved for knowledge.’ Yet World Soil Day, led by the FAO, has done well to capture the imagination of adults and children in recent years through farmers across the globe showing that buried underpants decompose faster in higher-carbon soils. More fun and engaging publicity campaigns that drive home a small number of strong messages could put soils onto the international political agenda, as has happened for marine plastic pollution recently. Technology and innovation offer much untapped promise. While the agrifood sector is not a major spender on research, there has been increasing investment in recent years on sensors and data applications. With further development these could rapidly bring down the costs of monitoring soil organic carbon and soil health. The urban disconnect from food supply chains means a greater focus on the future potential of non-land food production. For example, agrifood start-ups in OECD countries are concentrated around soilless production systems (forthcoming Hoffmann Centre study), claiming positive environmental impacts through avoided use of land, but overlooking the tremendous potential that soils offer as carbon sinks. Many observers understand development of cost-effective monitoring and accounting tools and protocols to be the key step towards unlocking action on soil organic carbon. Public awareness and engagement are paramount, but they are tough when neither the carbon nor the healthy soil is easy to see. Understanding soils as natural infrastructure – as the foundation for other services – might also change hearts and minds. Soil organic carbon needs to be packaged with other co-benefits of sustainable land management, but as a discrete building block, not as an amorphous bundle. A thread throughout the dialogue was the importance of valuing soil organic carbon within a wider set of private and public benefits from land management, not as a standalone asset. However, soils are in danger of being the ‘orphan asset’, forgotten when food security or forests are discussed. Soil can be better understood as a discrete building block in the assembly of sustainable land management. This means setting specific goals, targets and metrics for soils within any wider agenda on building natural capital, tackling climate change or raising agricultural productivity. Understanding soils as natural infrastructure – as the foundation for other services – might also change hearts and minds. Momentum is building and partners are coordinating work on different parts of the global agenda. Following this dialogue, a coalition of research partners led by The Nature Conservancy and Cornell University through its Atkinson Center will conduct a scientific project in 2018 to fill key knowledge needs voiced by decision-makers in the public and private sectors. The 4 per 1000 Initiative will enter its first year of global action. 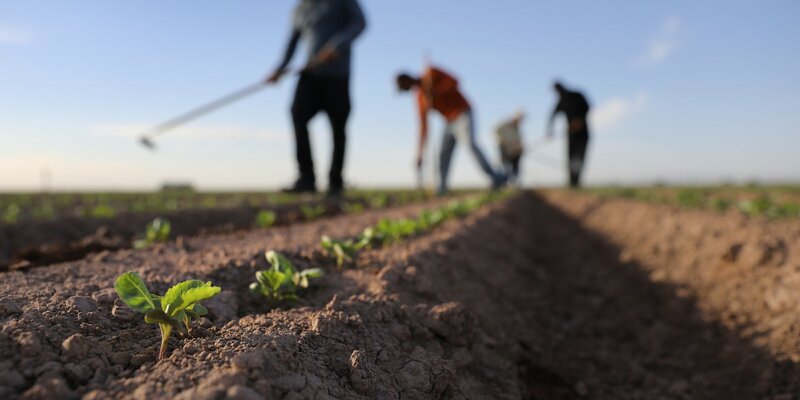 The focus of UNCCD this year is on connecting consumers with the value of sustainable land use practices. Meanwhile, parties and observers to the UNFCCC are invited to submit views in March 2018 on what to include in the Koronivia joint work on agriculture. Members of the World Business Council on Sustainable Development are working on a business case for investing in soil health. The Global Alliance on the Future of Food will carry forward multiple strands of work, including the informal Chantilly Group of investors in soil and land-based carbon. The Gold Standard, in association with Danone, Mars and Livelihoods Venture, will develop, and in 2019 open out to engagement, a new approach for Scope 3 greenhouse gas emissions, including guidance on sequestration through soil organic carbon. Land-based solutions have also been announced as a key focus of the Global Climate Action Summit 2018, which will bring together non-state activists and practitioners from all over the world. Evidence-based advocacy on soils – both persistent and consistent – is laying the foundation for action at scale within an urgent timeframe. The business case can be better made for investing in soils with the private sector able to play a role in actions which can both improve sustainability and support commitments to climate change. This workshop was co-hosted by the Nature Conservancy, Cornell University, the "4 per 1000" Initiative and the Hoffmann Centre for Sustainable Resource Economy.